When we talk about cell phone repairs, iPhone repair is something that comes to mind because of the vulnerability of the older generations of the iPhone. 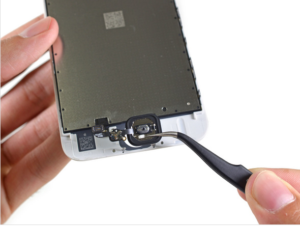 We will talk about the most common repairs on iPhone in this article. Let’s talk a little about the history of the iPhone. Its history goes back to January 2007, when Steve Jobs, Apple co-founder announced the first version of the iPhone. Who would have thought a product would create such a huge impact on the market? It was a revolution in the smartphone market. It was the first time when Apple introduced innovative features like touchscreen interface, virtual keyboards, and great audio quality smartphones. iPhone made other competitors to change their strategies and develop new products and operating systems to compete with their iPhone. Now, in 2017, nine generations of iPhone have been released by Apple, and it is the second largest smartphone vendor in the world regarding shipments. Apple’s ability to keep their product competitive and at a market leading position can be mostly attributed to new releases and updates throughout the year. Sales of iPhone jumped from 40 million units to over 220 million units in 2016. The sale of these units resulted in $54 million in revenue for Apple. With the continued ramp-up in sales, Apple satisfied their customer’s needs by keeping up with the latest technology and features that other companies were providing, and they did it with superior quality. Apple has now sold 1.2 billion phones, and there are 85.8 million users of iPhone in the U.S. alone. Apple is also known to provide great cameras on their phones, and they have changed the landscape of mobile phone photography. Another feature that the iPhone is famous for is the iPhone App Store. It changed the way how software was created and distributed to the users. Initially, there were only 500 apps in the App Store, and now there are over 2.1 million apps that the users can download from the App Store. So this was a brief history and some stats and features of the Apple’s iPhone. Along with the great popularity of the device, many users have faced issues with the phone hardware, and they had to make certain cell phone repairs. Users faced with issues related to the hardware of the phone, but let’s talk about the most common repairs on iPhone. Every one of us either has a friend or a family member that has an iPhone with a broken screen. 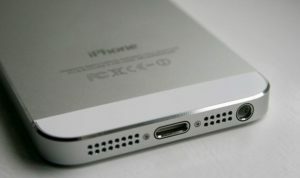 It is the most common issue faced by iPhone users, because of the delicate nature of the iPhone’s screen. We face many instances where we accidentally drop our phone, and as the iPhone’s screen is too fragile, even a drop from a nominal height can result in the cracking of the screen. The good news is that you can easily get the iPhone’s broken or damaged screen fixed. You have the option to either get it repaired from your manufacturer or you can avail the services of a third party repairers. Many phone screen repair shops specialize in iPhone and iPad repair of their screens. 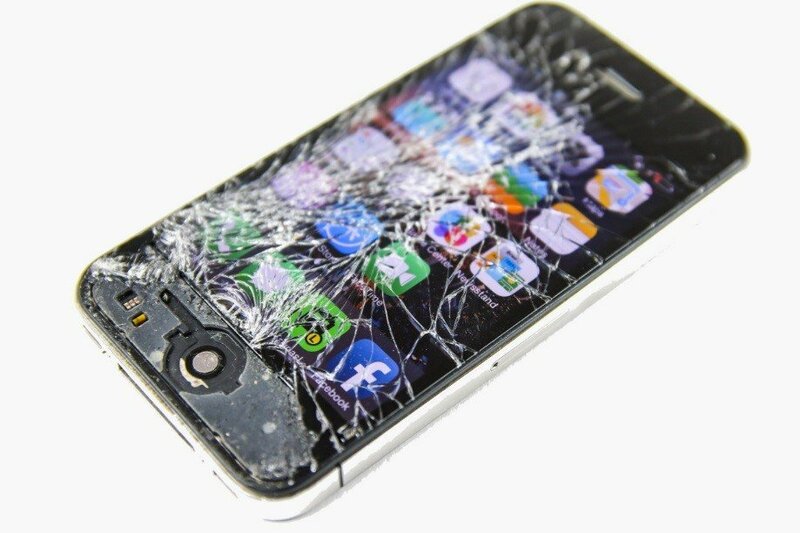 You can get your iPhone screen repair by your manufacturer if you have insurance on the phone. Or you can contact the service provider if you have got the phone as part of a contract. Since there is a possibility that you might be using an iPhone which is 3 or 4 years old, you will not have any insurance left on it. So you can then avail the other option of getting it fixed from a third party repairer. You can always search cell phone repair near me on Google and get a list of all the available Apple repair shops near to your location. You can also mention your location in your search to further narrow it down. For example, if you live in Toronto, you can search iPhone repair Toronto or phone repair Toronto. Now, the question that arises in almost everyone’s mind is that how much it will cost to get their iPhone’s damaged or cracked display to be replaced. Well, if you opt to contact your service provider or manufacturer, it can prove to be quite costly. It can cost about $200 to replace the screen. But other third-party repairers can do the job cheaply. If your phone is new, you will also void its warranty if you choose to get it repaired by a third party repairer. So you have a decision to make whether you want to get the damaged display replaced by a third party cheaply or you want to void the warranty of your new phone. Another common repair that users found themselves doing is getting the failing battery repaired. If you are using an iPhone which is even three or four years old, you will notice that the phone is not charging efficiently and consuming battery a lot faster than it used to do when you initially started using the phone. If you are sure that the issue is caused by a faulty battery, then you need to get it changed. Many Samsung, HTC, LG and Nokia phones have the option to replace the battery by just taking off the back cover of the phone, but for an iPhone, it’s a whole different ballgame. Changing the battery of an iPhone is a tricky process. You have to open your phone, and it will void your warranty if you decide to do that yourself or through a third party repairer. However, if your phone is under warranty and you have to get the faulty battery repaired, contact Apple, and they should be able to do that for you. If the warranty of your phone is expired, you will have to pay Apple to replace the battery. You can also buy a battery changing kit from a phone repair store and do it yourself, but that’s a very risky option to consider. 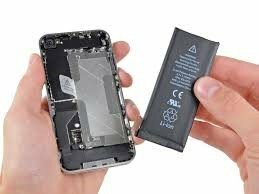 Now, iPhone repair or cell phone repair stores might delete your phone data before replacing the battery to make sure that there is no other way to increase the phone battery performance except replacing the battery. We suggest that you backup your data before proceeding to your cell phone repair. In case you fail to backup your data, you will still have the option to recover your data. There are many iPhone data recovery tools available which you can utilize. Some of them might cost a lot, but that is understandable when it comes to iPhone data recovery. Apple also admitted to a battery fault in their old generation phones, i.e., iPhone 5 and iPhone 5s. The good news is that they are willing to replace the battery for a very cheap amount. Most of us will agree that the most used button on an iPhone is the Home Button. There are many cases when the user damages the home button and is not able to utilize it at all. 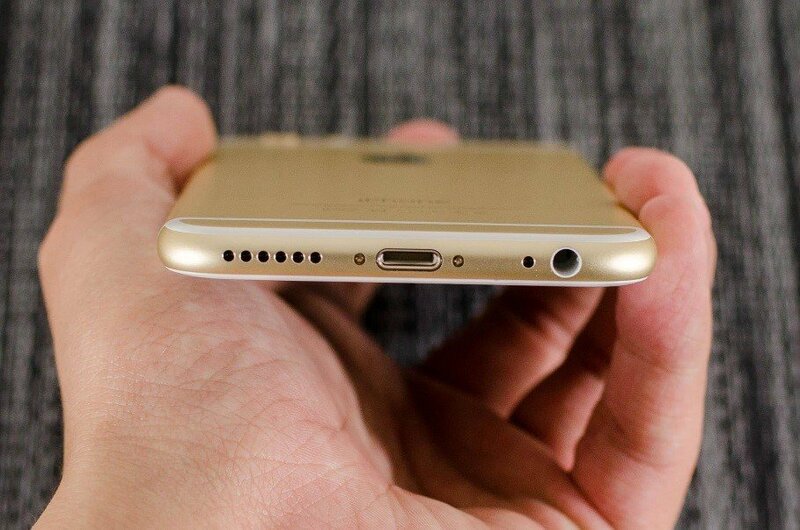 The home button might get unresponsive or broken after extensive and long-term use. So this is another common iPhone repair. You can initially consult a qualified technician to see if it is really broken and need to be replaced. You might try to clean the home button, but again, that’s a very risky option to take. The recent models of iPhone have the fingerprint sensor built in the home button so you will not be able to utilize that function too if you damage the home button. You will find many online tutorials to fix the home button, but we would only recommend you to consult a qualified technician to get the home button repaired. There are many Samsung repair stores which also repair the home button on their smartphones, and Apple repair stores will be able to fix the issue of a broken home button. An issue which is faced by not only iPhone users but the users of smartphones from other manufacturers is the defective charging ports. You might see people try plugging in the charging cable in different ways and still not being able to get their phone charged. It happens because of the faulty charging port. It is usually the case in the older models of the iPhone. It can be caused due to careless use of the charger and the charging cable while charging your iPhone. The repair of the charging port does not cost much, so when you are facing difficulties in charging your phone, you should consult a technician or Apple directly. We have seen many iPhones with faulty speakers. There are many cases where the user of an older generation of iPhone faces the issue of the microphone not working. It caused difficulty in making phone calls and recording audios. The speakers of your iPhone can act up after some years of use, and you will be facing instances where you will not be able to hear anything even when your phone is not in silent mode. 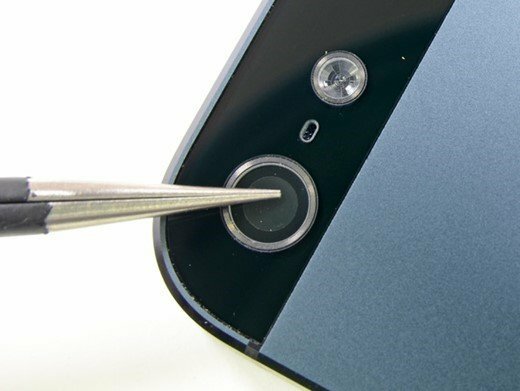 Like many Samsung phone repair shops, many third-party iPhone repairers can repair the damaged speaker or microphone in a short time. Since you are not likely to have insurance on your old iPhone, a third-party repairer is your best option when it comes to repairing the speaker and microphone of your iPhone. Another very common issue which is reported by many iPhone users is a broken or hazy camera lens. As many people love their iPhone because of the great photographic experience its camera provides, this is a real point of their concern. That’s why it made our list of the most common repair on iPhone. You can try many methods of cleaning the lens with a cloth or with spray, but it is highly likely that the phone will still take blurry photos. So the best option in this scenario is to get the lens replaced. We would highly recommend that you get it repaired by your manufacturer, even if it comes at a high cost. When we are talking about camera lens, the quality is not something that should be compromised. That’s why we recommend you to opt for your manufacturer because a third-party repairer might replace the lens with a low-quality one. You can search google for repair stores near your location which can replace the camera lens. For example, if you live in Toronto, you can search cell phone repair Toronto and get a list of the iPhone repair shops near you. Whether you an iPhone user or a user of any other smartphone manufacturer, you do use the volume keys of your phone on a daily basis. They are mostly used to increase or decrease the volume of the phone, but some camera applications allow the user to take a picture with the volume button. Extensive usage over a longer period can result in you facing an iPhone with faulty volume buttons. It might be the case with the majority of the people, but still many users found themselves having to get the volume buttons of their iPhone repaired. There are many instances where we have seen people spilling water on their phone or accidentally dropping their phone in the pool. Water can cause short circuits in the phone which can even lead to bricking of the phone. The best course of action in this scenario is to turn your phone off immediately. Some phones of Samsung, LG, and HTC have the option of taking off the back of the phone and pull the battery out, but in the case of iPhone, it’s not that easy because of the non-removable batteries. So the best advice is to take your phone to an iPhone repair shop. 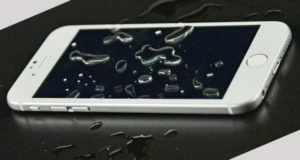 Water damaged iPhone repair is another very common iPhone repair, and this sums up our list of the most common repairs on iPhone.